We consider it an honor to share one of the most precious experiences of a person's life. 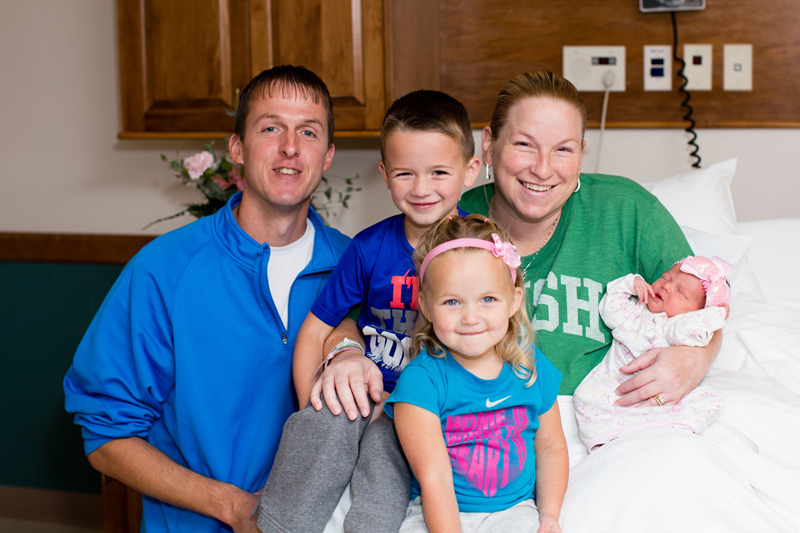 Our staff is dedicated to providing expert, compassionate care for new mothers, their babies and their families. With an emphasis on a homelike atmosphere, we strive to provide the best experience possible through a variety of services and amenities. Five state-of-the-art Labor, Delivery, Recovery and Postpartum (LDRP) rooms provide a homelike atmosphere for the mother, baby and family members. LDRP rooms are equipped with a recliner or sleep chair and a rocking chair, showers and abundant space to allow the entire family to visit and welcome the newborn after birth. In addition, the LDRP rooms are equipped with adjustable beds to allow mothers positioning choices while laboring. Mercer Health was among the first hospitals to bring the LDRP concept to the west central Ohio area. Three private rooms are available for c-section patients or other gynecological patients. Our Birthing Center Nursery is available and staffed by a nurse for times when new mothers need to rest. We do encourage you to keep your baby with you as much as possible to strengthen the bond between baby and parent, help teach you to anticipate baby's needs and to help you learn your baby's feeding cues. Many free educational and support programs are provided by trained professionals before, during, and after birth. A high emphasis is placed on education to help new families take care of their baby. Fathers are also encouraged to be a part of the education process. In addition to classes and other programs, we provide education and instructions during the hospital stay including breastfeeding instruction and support provided by our International Board Certified Lactation Consultant (IBCLC). We value the importance of breastfeeding and strive to make this successful for you. Family stay programs are available in the event a mother is discharged without her baby. Post-partum follow up visits provide a complete nursing assessment of mom and baby. Mercer Health is a designated Safe Haven location providing a drop off point for parents to voluntarily desert their baby within 30 days of delivery to a Mercer Health facility, or any other Ohio safe haven, without facing child abandonment charges and with the absolute right to remain anonymous according to Ohio Senate Bill 304.